Williams Lake, B.C. 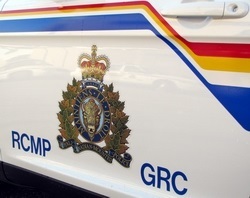 – It has been nearly a months since RCMP executed a search warrant on a Williams Lake residence, and a Williams Lake man is now facing 22 charges stemming from that investigation. It was May 28th when RCMP searched the home and seized evidence. 21 year old Davey Ronald Auger was arrested at the time, has been in police custody since. He is now facing 22 charges. 17 charges for a variety of Criminal Code offences, 15 of which are for firearm related offences. The firearms include a rifle, shotgun a restricted handgun and a crossbow. Auger is scheduled to appear in court again tomorrow.